With TSA saying the summer travel season will be very busy, The San Diego International Airport hopes to make the experience both smooth and entertaining for everyone. SAN DIEGO (NEWS 8) - With TSA saying the summer travel season will be very busy, The San Diego International Airport hopes to make the experience both smooth and entertaining for everyone. 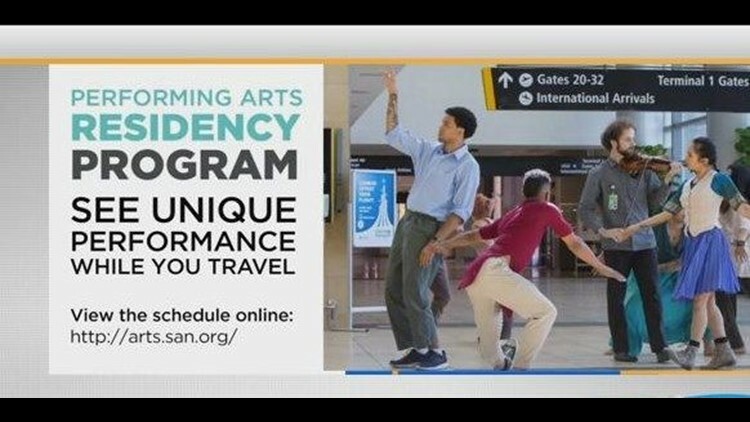 In 2016, San Diego County Regional Airport Authority’s Performing Arts Residency program began. People flying in and out of San Diego are seeing theatre acts from local performers. CBS News 8's Ashley Jacobs shows you how Astraeus Aerial Dance Theatre is entertaining everyone.